Immigrant business owners feel disconnected from city resources. Should Providence do more to help? When Frank Ankoma immigrated to Providence in 1997, he says immigrant-owned businesses were hard to find. 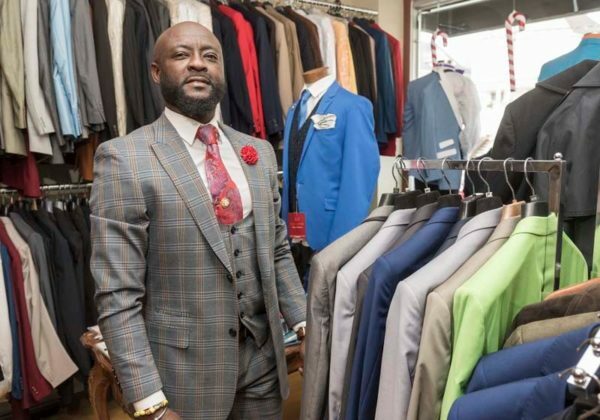 Fast-forward 20 years and the Ghanaian native, now a naturalized citizen, said the capital city’s entrepreneurial immigrant community has “grown a lot” but still faces hurdles he says the city could do more to help with. 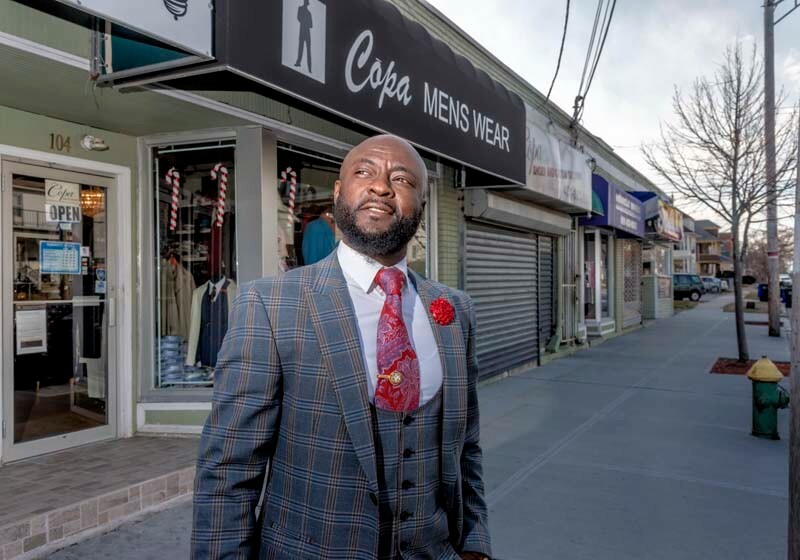 Citing too-stringent restrictions on who can apply for small-business loans or lower interest rates, Ankoma, who operates Copa Menswear on Reservoir Road, estimated the city is doing “75 percent of what they could” to help immigrant business owners with programs and guidance to better qualify for financing. “It’s not easy for immigrants to come here and establish [themselves] – they need guidance, support and programs to succeed,” said Ankoma. Because immigrants often start a business from scratch, not knowing the language or the legal requirements to open one, Ankoma believes the city should provide them a tax break in order to better afford the cost of employing workers. He’d like to see lower interest rates on their small-business loans and programs to teach them how to be successful business owners. Because many immigrant-owned companies lack business plans, he says a city-sponsored, immigrant-focused business tutorial program would give such businesses a better chance to succeed. Immigration has been at the center of a contentious national conversation since the beginning of the 2016 presidential election campaign, when President-elect Donald J. Trump raised fears of mass deportation of an estimated 11 million undocumented residents and workers. Following Trump’s election, Providence Mayor Jorge O. Elorza joined the mayors of so-called “sanctuary” cities – which to varying degrees restrict the role of local law enforcement in enforcing federal immigration laws – across the country in promising to protect the rights of immigrants, including undocumented residents. Elorza, however, has said he does not consider Providence to be a sanctuary city. (Trump has threatened to attempt to deny funding to cities that refuse to cooperate with federal immigration officials.) Providence does cooperate with federal immigration authorities in some cases, including holding anyone with an immigration detainer who is charged with a crime. But the city does not hold undocumented immigrants charged with a simple civil infraction. A week after the presidential election, Elorza, whose parents emigrated from Guatemala, announced a new campaign to bring issues related to immigration, racism and criminal justice to the forefront of public discussion leading up to the Jan. 20 inauguration of Trump. “We cannot stand idly as members of our community are bullied, targeted and scapegoated on the national stage,” he said in November. Elorza says he’s advocating for a safe environment for all immigrants. None of his proposed reforms, however, which include improved police-community relations and support for women and families, specifically focus on helping the city’s immigrant business community. Immigrant-owned businesses, such as Ankoma’s, and support organizations see a disconnect between foreign-born business owners and the city, a situation that is preventing them from accessing vital resources. This, even more than fear of more-restrictive U.S. immigration policy, is the biggest issue many see affecting their businesses. Ankoma, for his part, declined to say whether he shares the fears for his future expressed by many undocumented workers nationally, but said he sees Trump first and foremost as a fellow businessman. “I’d like to see what he has on the table” for small-business owners, he said. “There isn’t going to be a question mark on you [as an immigrant] if you’re focused” on success. Ankoma is one of 53,141 immigrants living in Providence, according to the U.S. Census Bureau, a city with a population of 178,562 as of 2014. In addition, the state has an estimated 30,000 undocumented immigrants, according to Pew Research Center. The city doesn’t keep statistics for the number of immigrant-owned businesses. 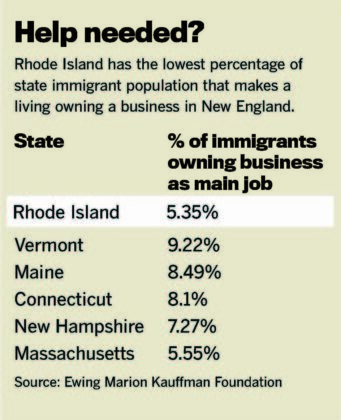 But the Ewing Marion Kauffman Foundation, a Kansas City-based entrepreneurship- and education-focused research nonprofit, in 2015 found 5.35 percent of Rhode Island’s immigrant population owned a business as their main job. That was the lowest percentage in New England. Vermont had the highest at 9.22 percent; followed by Maine at 8.49 percent; Connecticut at 8.1 percent; New Hampshire at 7.27 percent; and Massachusetts at 5.55 percent. David D. Kallick, senior fellow and director of the immigration-research initiative at New York City-based Fiscal Policy Institute, co-authored a January 2015 report that found immigrants are more likely than U.S. natives to own businesses, and make up 28 percent of Main Street businesses nationwide. He found that while ownership of Main Street businesses, defined in the study as “shops and services that are the backbone of neighborhoods,” by U.S.-born residents declined 12 percent to 4,342 in Providence between 2000 and 2013, there was an increase of nearly 50 percent in immigrant business owners to 1,411 in that period. 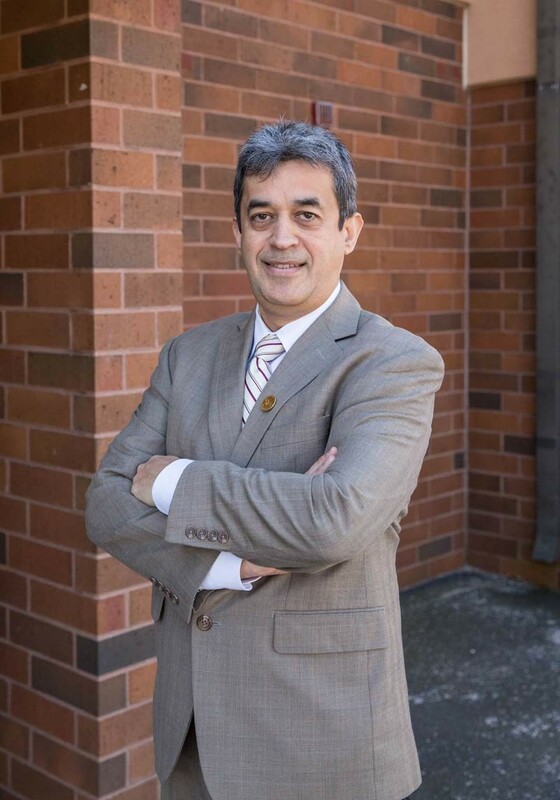 He believes immigrant business owners should not receive special protection from cities, but city administrations should make support programs available to a wider demographic in multiple languages. “Mayors [nationwide] are recognizing and wanting to stand up for the importance of immigrants in local economies,” he said. He said the city is doing more to address the needs of immigrant business owners, citing the digitization and Spanish translation of licensing and renewal forms, and the creation of the business-concierge position in city administration, an advocate for all business owners. He added a continued partnership with Dorcas International Institute of Rhode Island, a Providence nonprofit that connects immigrants with employment opportunities, among other services, is paramount in helping would-be entrepreneurs gain footing in the city. “Engaging Latinos in Rhode Island: Small Business Initiatives,” an October 2016 report released by the Latino Policy Institute at Roger Williams University, sought to know more about programs available to Latino entrepreneurs in Rhode Island. The report found, between 1997 and 2012, there was a 552 percent increase in Latino-owned businesses in Providence – the highest rate of growth for Latino-owned businesses in regional peer cities – accounting for more than one-quarter of all Providence businesses. Included in the findings was a survey of 32 prospective entrepreneurs enrolled in a Center for Women and Engagement program. Regarding the availability of municipal services, 57 percent said cities, including Providence, provided “easy-to-find” information about licenses and information. Anna Cano Morales, former LPI director, explained respondents varied from immigrants to multigeneration citizens. “The more acculturated … the more likely they were to access services,” she said. A kiosk in City Hall with digitized licensing application processes, as well as increased multicultural, multilingual staff, signifies recognition by Providence of the needs of Latino and immigrant business owners, said Morales. “Do they get an A-plus? No, but nobody does,” she said. To increase the number of Latino and immigrant business owners accessing city resources, Morales suggested the city couple access to capital with a financial planner to ensure “responsible and effective” loan use. LPI’s report called for “simplify[ing] and expedit[ing]” business startups, which Morales said the city can do by creating a checklist with a timeline and rubric outlining how to better navigate the system. Hispanic Chamber of Commerce President Oscar Mejias believes the city could do more to connect to the immigrant business community. Distributing printed information to the community in Spanish, rather than increasing the amount of bilingual digital information, tops Mejias’ list. He cites a lack of education within the community about available resources for the small number of businesses accessing city programming, but recognizes responsibility for improvements are shared between the city and the immigrants. “It’s not a one-sided commitment,” he said, although Providence’s Hispanic immigrant business owners will need to be incentivized to engage with the city. Elorza says he’s not surprised many Latino and immigrant business owners do not access or feel comfortable with city-sponsored business-support resources. As a means of direct community outreach, every month Elorza speaks on Latino Public Radio to publicize city resources, including a collaboration with Roger Williams University and West Elmwood Housing Development Corp. on construction-trade business skills and English classes through the Rhode Island Builders Association or the Providence Latino Business Association. Elorza wants Providence to be a welcoming city for all residents, but recognizes anxiety felt by immigrants who feel targeted by Trump and said a city unwelcoming or disrespectful of immigrants will not succeed. “When you look at what’s harmful for business, people being afraid to leave their homes is top of the list,” he said, adding he hopes the national conversation does not push Providence immigrants, already clustered in tight-knit communities, further underground. Dr. Pablo Rodriguez, president of Latino Public Radio and CEO of Women’s Care, believes immigrant-owned businesses do not deserve special protection. But he thinks it may become even more difficult for them to operate under Trump. Rodriguez knows most immigrant businesses cater to immigrant communities, and if that demographic leaves, or stops spending, many businesses will hurt. “It’s a domino effect,” he said. “Once they are removed, the income goes with them. Once you lose the income, you lose the businesses, and the impact is felt throughout the entire community. “There’s an underground economy that is completely vibrant,” thriving on cash because immigrants don’t have the same access to capital as native business owners, said Rodriguez. “On paper [these businesses] don’t look good,” because they don’t build credit, “but in reality they’re employing a lot of people,” he said. 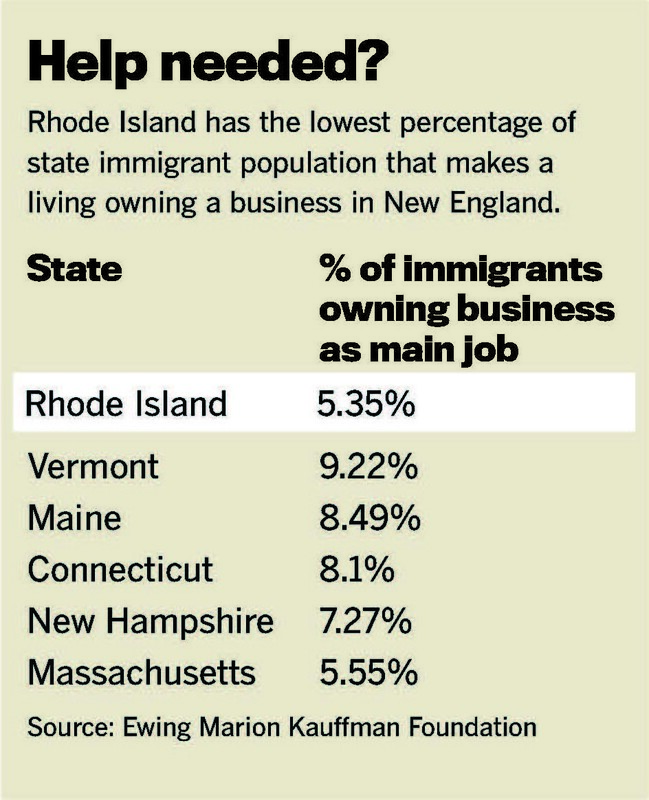 The underground business culture holds immigrant businesses back, said Rodriguez, but is commonplace among immigrant communities and was witnessed a century ago when Italian and Irish populations immigrated to Rhode Island. Manuel Batlle, director of diverse business outreach at University of Rhode Island’s R.I. Small Business Development Center, agrees. “Immigrants are afraid to leave their comfort zone,” he said. Advocating increased outreach by the city, Batlle said immigrants rely on communal resources because they are stuck in a continuous circle of needing capital to start a business, but not having sufficient credit for a loan. Batlle said many immigrant business owners view city programming with distrust, a holdover from business operations in their native countries, and often turn instead to entrepreneurially successful community members. The gap would disappear, Batlle thinks, if the city opened information outlets, similar to local public library branches, in different ethnic communities. He complimented the city on hiring bilingual, multicultural staff to ease the process for immigrants facing a language barrier, but said challenges navigating a complicated system remain. Gustavo Vicente, owner of Gus’s Megaprint, on Manton Avenue, has experienced many of these obstacles. A Guatemalan national with a green card, Vicente resides in the United States. But, because of his limited English, Vicente said trips to City Hall are unfruitful without a paid interpreter. In 2015, he attended Dorcas International Institute of Rhode Island’s Introduction to Entrepreneurship class, where he learned about running a business in the U.S. He agrees the city needs to teach immigrants to build credit, but from personal experience would like basics such as employment regulations, eight-hour work days and the necessity of showing up on time included. He’s aware of some immigrants’ fears of possible immigration-policy changes but thinks Trump’s plans to help larger companies make money will allow capital to reach smaller businesses. “It’s OK, people were looking for something different. Just wait,” he said. Like several other immigrant business owners contacted by Providence Business News, Leo Sangadej is less concerned about changes to U.S. immigration policy than he is finding ways to grow his business, Thailand Modern Eatery on Atwells Avenue. City Hall, he says, is too difficult to do business with. “I’ve opened other businesses in other cities and states, and I’ve never seen this many loopholes, [instances of] ‘I misplaced things’ or ‘I didn’t get the information’ in my life,” said the Thailand native and naturalized U.S. citizen. 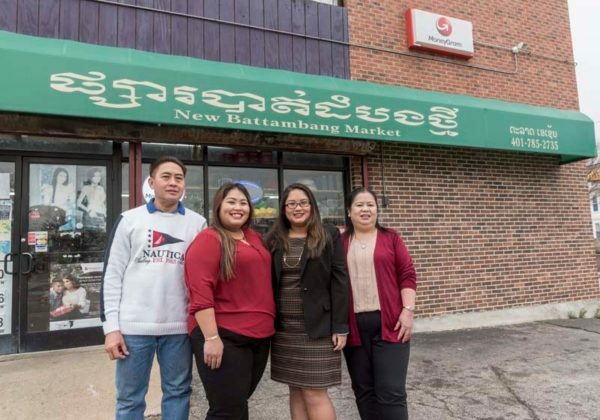 Jenny Ounnarath, the U.S.-born daughter of Laotian immigrants who came to Providence in 1990, helps run the New Battambang Market on Elmwood Avenue. 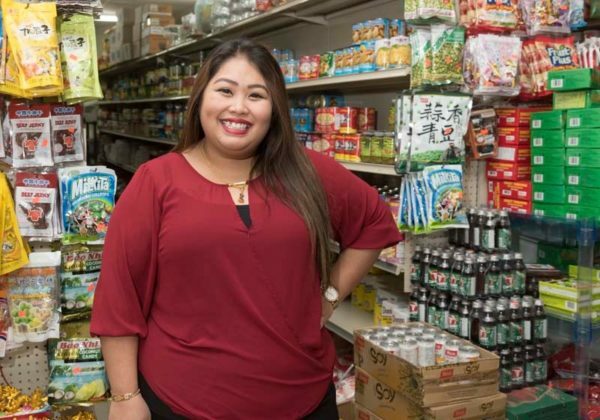 While the family lives in Woonsocket, she said her parents chose Providence for the business because of increased traffic from the high population of Southeast Asians, but Ounnarath said Liberian and Caucasian customers from Newport and Boston often frequent the shop. She hasn’t seen evidence that Providence’s immigrant business owners share the national fear some immigrant groups have of President-elect Trump. “I don’t feel like he’ll come into an immigrant store, and pick and choose [people to deport],” she said. However, she thinks immigrant business owners would benefit from more community resources where they can learn about U.S. business culture and be better represented in community affairs. Channavy Chhay, executive director of Providence’s Center for Southeast Asians, agrees, arguing for Southeast Asian-specific resources. Her organization, she said, is spread too thin for such a task. Unlike Ounnarath, Chhay sees signs immigrant business owners are becoming more skeptical of their futures in the city because of the rhetoric they’ve heard from Trump. “They don’t know when their neighbor will turn on them,” she said. While most Southeast Asian business owners in Providence are here legally, she said, if stringent immigration policy is applied, they will likely retreat into their homes and cut off extra spending, endangering local businesses. The Hispanic Chamber’s Mejias believes there is widespread uncertainty among Providence’s immigrant business owners because of Trump. One financial counterbalance to Trump’s inflammatory immigration rhetoric is the $47,287 committed in donations to Dorcas International Institute in the month following the election, said Kathy Cloutier, the nonprofit’s executive director. That represents a 34.2 percent increase from the $31,121 given during the same month in 2015. In addition, the Providence-based organization – which provides citizenship clinics and career-skills classes for immigrants – reported that donations of household items and clothing have increased, as has interest from new volunteers to help staff Dorcas’ support services. While opening a business in Providence is not a “user-friendly process,” said Cloutier, she credits Elorza with making Providence a city in which immigrants, documented or not, feel welcome. Julie Piccolo, Dorcas’ director of employment services, said it’s not just immigrants who are fearful of what may come.